Open house for two days went well. New! 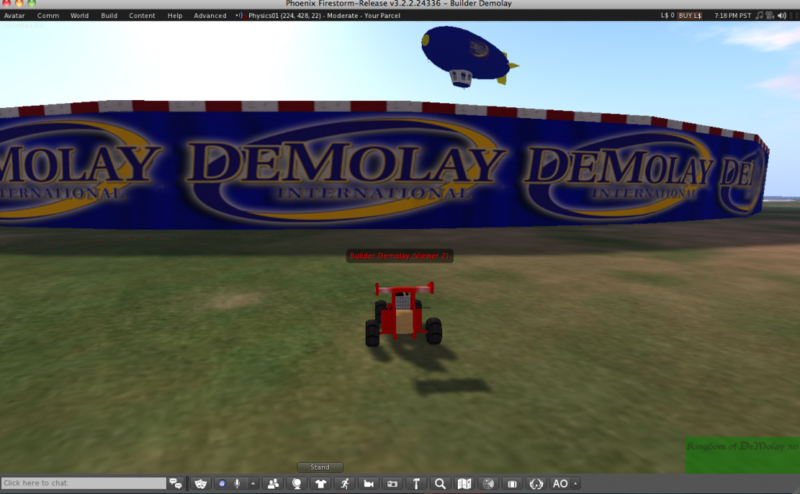 Physics megaregion for vehicle testing in the Kingdom of DeMolay. 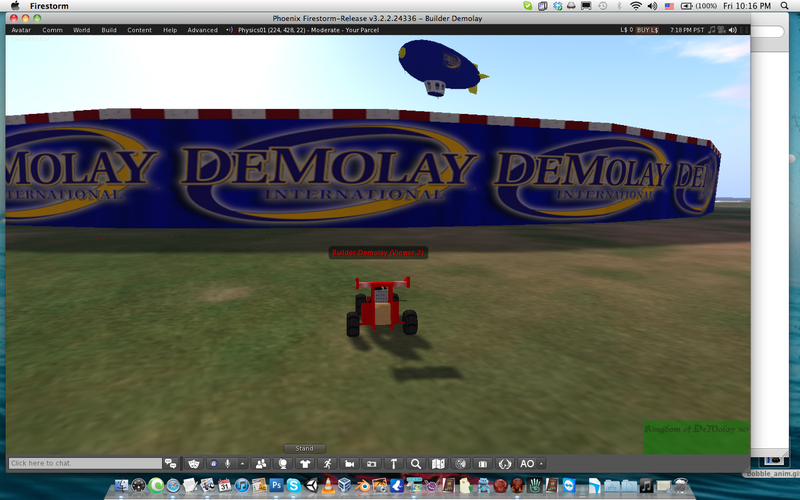 This area is for members to build and experiment with modeling physics in the virtual world. These game mechanics are just a small part of what is available. A go-kart track is visible in the snapshots.